The teacher is standing in front of the board. 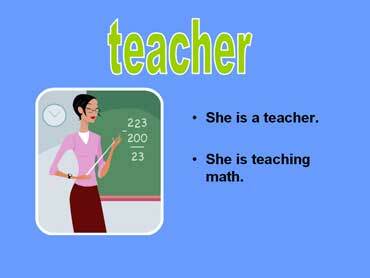 She is teaching math. A subtraction problem is on the board. The teacher is holding a pointer. The ESL student is sitting behind a desk. A notebook is on the desk. 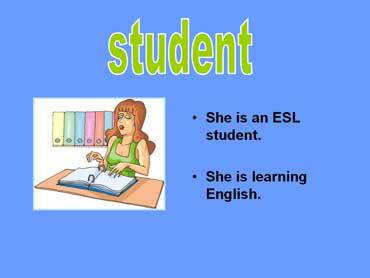 ESL students learn how to speak, read, and write in English.